He is also credited for popularizing many physically complicated dance moves, such as the robot and the moonwalk, and has influenced and spawned a whole generation of a wide variety of artists including Justin Timberlake, Mariah Carey and Usher, among others. Jackson's musical career began in 1967 as lead singer of The Jackson 5, when the group made their first recording with a local label before signing up with Motown Records in 1968. He made his first solo recordings in 1971 while still a member of the group. But it was Off the Wall (1979) which marked the start of his full-fledged solo career, and he formally parted with his siblings in 1984. In his solo career, Jackson recorded and co-produced the best-selling album of all time, Thriller (with worldwide sales over 100 million), received thirteen Grammy awards and charted thirteen #1 singles in the U.S. Throughout his four-decade career, Michael Jackson has been awarded numerous honors, including the World Music Awards Best-selling Pop Male Artist of the Millennium. He is also a double-inductee into the Rock & Roll Hall of Fame, as a member of The Jackson 5 in 1997, and in 2001 as a solo artist. He is also a member of the Songwriters Hall of Fame. In the mid-1980s, TIME magazine described Jackson as "the hottest single phenomenon since Elvis Presley". He has had a notable impact on music and culture throughout the world while also tearing down racial barriers and paving the way for modern pop music. From 1988 to 2005, Jackson lived on his Neverland Ranch property, on which he built an amusement park and private zoo for the enjoyment of economically disadvantaged and terminally ill children. In 1993 and 2003, separate accusations of child molestation that allegedly occurred in Neverland were made against Jackson, which drew intense negative media coverage. While he was never charged for the first case, Jackson was tried and vindicated in 2005 of the latter allegation, but moved out of the US shortly thereafter. He later returned to Las Vegas in early 2007. Over the past few years Jackson has made numerous public appearances including MTV Japan's VMA awards where he accepted the legends award; the World Music Awards where he accepted the Diamond Award for selling over 100 million records; James Brown's funeral where he paid tribute and delivered his sermon; and a fan appreciation event in Tokyo, Japan, where he also greeted troops at US Army base Camp Zama. In early 2008, Jackson issued Thriller 25th Anniversary, a critical, and commercial success that is currently the second-biggest selling album of 2008 with over 2.1 million copies sold worldwide. On June 25, 2009, Jackson collapsed at a rented home in Holmby Hills in Los Angeles, California. The cause of death is currently believed to be cardiac arrest. At the time of his death, Jackson was scheduled to perform 50 sold-out concerts to over one million people, at London's O2 arena, from July 13, 2009, to March 6, 2010. During a publicity press conference, Jackson made suggestions of possible retirement. In the hours following Jackson's death, his record sales increased dramatically. 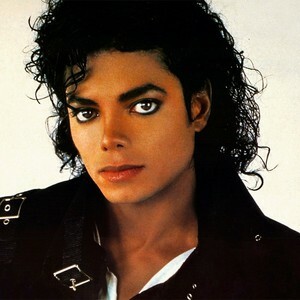 His seminal album Thriller climbed to number one on the American iTunes music chart, while another eight have made it into the top 40. In the UK, where Jackson would have performed less than three weeks after his death, fifteen of his albums occupied the top 15 spots on the Amazon music chart. Social music network website Last.fm also saw a dramatic increase in Michael Jackson plays per hour after the announcement of his death.